Magnetic Pickup Tool, 2 pk. 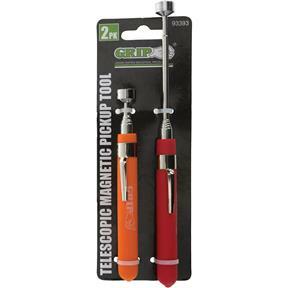 GRIP 93393 - Magnetic Pickup Tool, 2 pk. 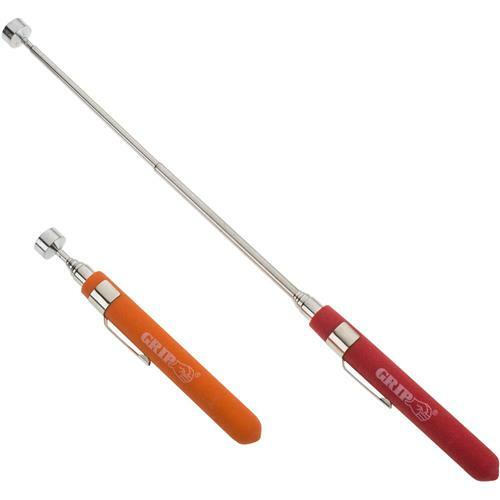 The telescoping magnet is the ideal tool around the house or on the job to retrieve lost items, dropped or hard to reach metal items. Easily find and grab small tools or hardware in hard to reach areas such as cars, behind the work bench, or around the house. It will store away in any toolbox with its convenient pen size, or use the sturdy pen clip to keep it within reach at all times. 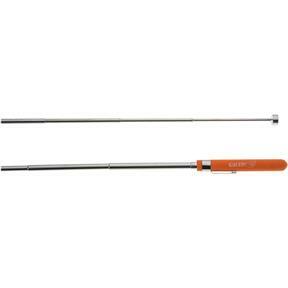 Rubber coated cushion grip handle allows for comfortable hold during use. It is extendable from 5" to 25". Set of 2 random colors (blue, red, orange).